One of the ‘lesser’ demons of the postmodernist society – at least in this part of the world – is the appalling food culture that we have come to embrace. Takeaways, home deliveries, quick service, street stalls, there are a number of easy substitutes to escape the drudgery of cooking or eating the bland food rustled up by the bai/rannar masi. Sometimes I wonder if there is a bigger harbinger of the ‘depthlessness’ of the cultural trends that capitalism has brought on. Yes, I draw heavily from Fredric Jameson’s quantification of postmodernism. 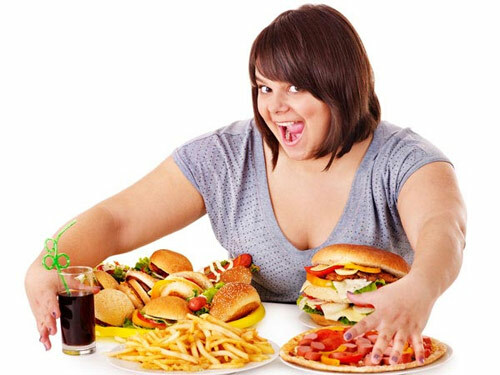 But I believe that this abnormal fixation with oil, fat, cheese and bread is a direct fall-out of the society we live in. Food is the most readily available antidepressant that effectively combats the everyday depressions brought on by societal expectations, annihilations, abrasions and what not! Short-lived effect and long lamented aftereffect(s), but who cares really? We are no exceptions. Unhealthy junk, rich & oily Mughlai/North Indian, Chinese that is a permutation and combination of exactly three tastes, overpriced pizza and a never-ending supply of aerated drinks (well, you need something to wash all of it down with): everything finds a place of food decadence in our daily lives. It so happens that apart from the usual dose of burgers, fries, nuggets, sausages and other sundry processed food (that I usually ate during office Lunch Hour as recently as two months back) we often order in the staple Biryani, juicy tandoori, some reddish concoction or the other which passes off as Chicken bharta/butter masala/ korma/do-piaza or some whitish thick curry that passes off as ‘less-spicy’ dishes such as Dahi Chicken. Hail Rajesh Koothrapalli for making Placebo Effect as common as flu! On occasions that we manage to be a little less lethargic, results vary from Cold Italian Salad with Yogurt dressing, Spaghetti Bolognese, Sandwiches minus dollops of mayo, Noodle Soups to more elaborate traditional Bengali/Indian affairs. Not to say the meals are proper 3-course ones but are more than decent and unquestionably healthier (also cheaper). Our efforts have had decent outcomes such as flavoured rice (or good ol’ boiled rice), Fries (Brinjal; at times with Neem Leaves, Potatoes and even Bitter Gourd), lentils (tok dal, light masoor dal. moong dal with peas), vegetable curry (Lau Bori, Alu Jhinge Posto, Nutrella-r torkari, Paneer, Alu Beans, Beet Thoran and more), Egg Curry (Dimer Dalna or Kasa) and Chicken Recipes tingled with our respective styles of cooking or scouring the length and breadth of India (last we had a Keralite dish with brinjal and curry leaves!). But such spurts although not too uncommon, are pretty much well-balanced by the all too convenient home delivery. Not-so-surprisingly, the increasing fat content round our middles (and in my case some other unmentionables) do bother us quite a bit but we always dream of a better tomorrow where-in we will have slimmer waistlines owing to a healthier diet and an exercise regime. In my (our) defence, the ‘tomorrow’ does arrive but is tossed right out of the window on subsequent weekends. Oh, well…I dream a little more on such days. Last weekend was a little different though. A super-late morning, a showdown induced by spilt milk while making the day’s first cuppa and an abandoned effort to cook was followed by the decision to have the entire day’s meal at The Blue Poppy on Russell Street. Now, we stay quite a distance away from Russell Street so ‘ordering in’ was not an option. Any die-hard Kolkata Foodie would tell you that the Blue Poppy is the place to be, if you love your momos and thukpa. I got to know about this cozy little place while surfing the net randomly on a sleepy Friday in office. The effort to get our bums out and travel half the city was rather fruitful and a pleasant change from the greasy and substandard food we have become addicted to, over the last 5 months. Prior to that, we at least made the effort to go to restaurants. But nevermind! Blue Poppy specialises in ‘Tibetan, Bhutanese and Nepali cuisine’ (and also serves Chinese; no surprises there). I am given to understand that the three have similar (if not common) features. So we started our meal with a steaming bowl of Ema Datshi, the national dish of Bhutan. Ema Datshi is a classic example of food tasting best when made with the simplest of ingredients and a lot of love. It’s a cheese and chilli soup flavoured with garlic (and perhaps also onion). Unlike ‘continental’ cheese-based dishes that make you feel bloated up after small helpings, this Bhutanese soup is a study in contrast. I wish I could have a bowlful more but soon a plateful of perfectly shaped piping hot pork momos were placed on the table and boy did we devour or did we devour! Momos are ubiquitous in every nook and cranny of Kolkata. Although not ‘inedible’, they are usually way too big with too little stuffing and a rather thick skin. The Blue Poppy serves small portions with a mildly flavoured stuffing and a soft white flour coating. Appetiser and Starter: Check. Next we scoured the menu to decide the main course: Pork Phaleys, Pork Thenthuk and Pork Shapta. Yes, it was an all-pork affair (once in a blue moon doesn’t hurt, seriously). The Phaleys, which I consider to be the oriental equivalent of pies, were quite big and filling. If you are a Denzong regular, then Phaleys and Tai Paos shouldn’t be new to you. Phaleys here are obviously superior. Thenthuk is a variation of thukpa: square noodles served in a broth of seasonal veggies and lots of pork shreds. The long-noodled Thukpa is a little more soupy than the Thenthuk but tastes more or less the same. The only spicy dish was the Shapta, a stir fried preparation of shredded pork (or beef), garlic, onions, and tomatoes. The pork almost melted in our mouths, not something all restaurants – even relatively fancier ones – can manage. A Nepali friend of mine, tells me ideally the Shapta is to be had with Timo (a Tibetan bread) to balance the spices that sets your taste buds on fire. Nonetheless, we were taking spoonfuls of thenthuk in-between, so the Shapta’s fieriness didn’t really hit us that bad. The entire day’s meal punched in one sitting, had us suitably bloated and I had to pack my portion of the Thenthuk (the two of us polished it off later in the night). Oddly enough, Blue Poppy gives you an archaic hand-written chit for a receipt (if you can call it one). No, it’s not a pink cash memo. Just the food items and prices scribbled in a very amateurish writing on a piece of ruled paper. Me: 55.6 at 5’1’’. My Other (at this point, definitely not the better) Half: 73 at 5’5’’. A while later, we were on the metro battling the putrid smell emanating from our co-passengers and wishing it was winter instead. The rest of the evening was the usual routine of random chats, mobile games, TV series episodes/movies and finally sleep at 5 the next morning. I was rather pleased with myself for the food we had was not really greasy or too high on calorie, in spite of all the pork in them. Next Day: Another super-late morning. A courtesy visit in the afternoon and another sultry evening and the almost healthy (although extremely lazy) weekend was coming to an end. But….as the clock neared 9, we ordered in two plates of Mutton Biryani ‘balancing’ it out with boondi raita…and yet I continue to dream.